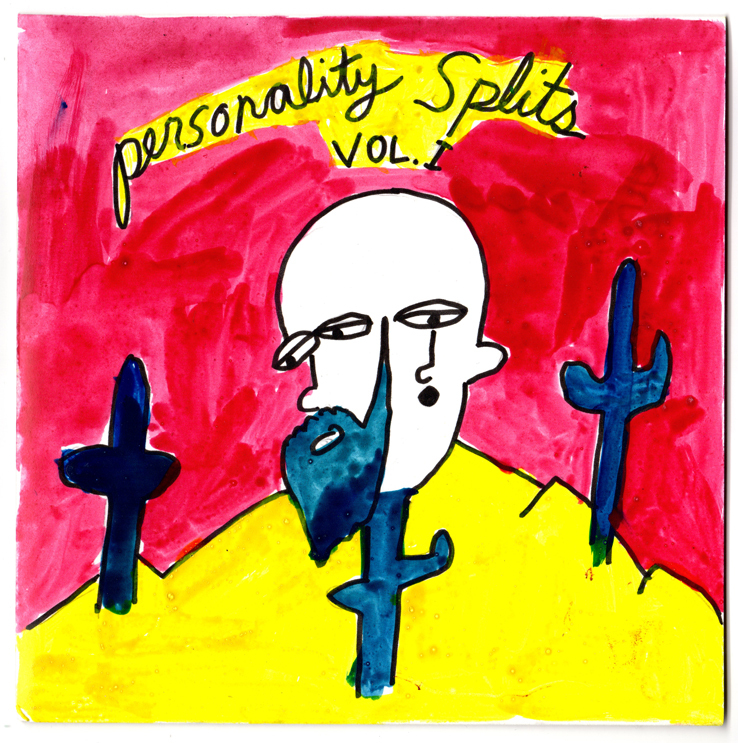 Mark Matos is one of those freak folk wanderers who is always popping up around and collaborating with the longtime core PIAPTK stable of artists: Golden Boots, The Blank Tapes, Graves, etc. He's always out in the world doing something weird; starting bands with Jason Simons from Dead Meadow, playing with veteran session dudes who have recorded with Dylan, making full soundtrack albums for a James Franco passion project indie film, etc. I see him all the time, but rarely in the same place. He's got a million different projects under different names with radically different styles. 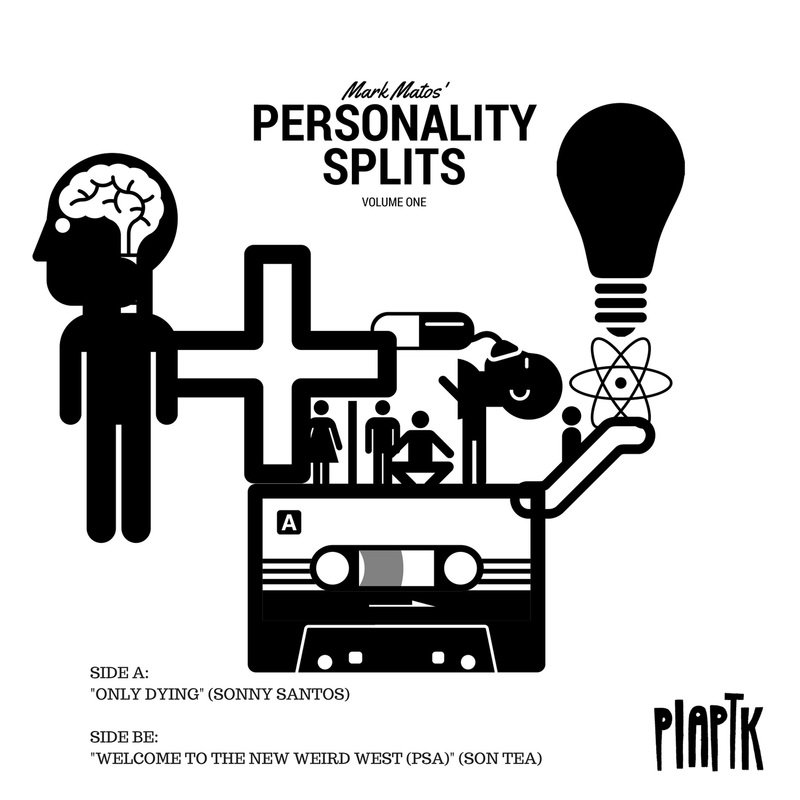 For his PIAPTK debut, we decided to explore those different entities with a series called "Personality Splits". 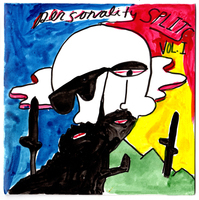 Each record in the series will contain two different projects. 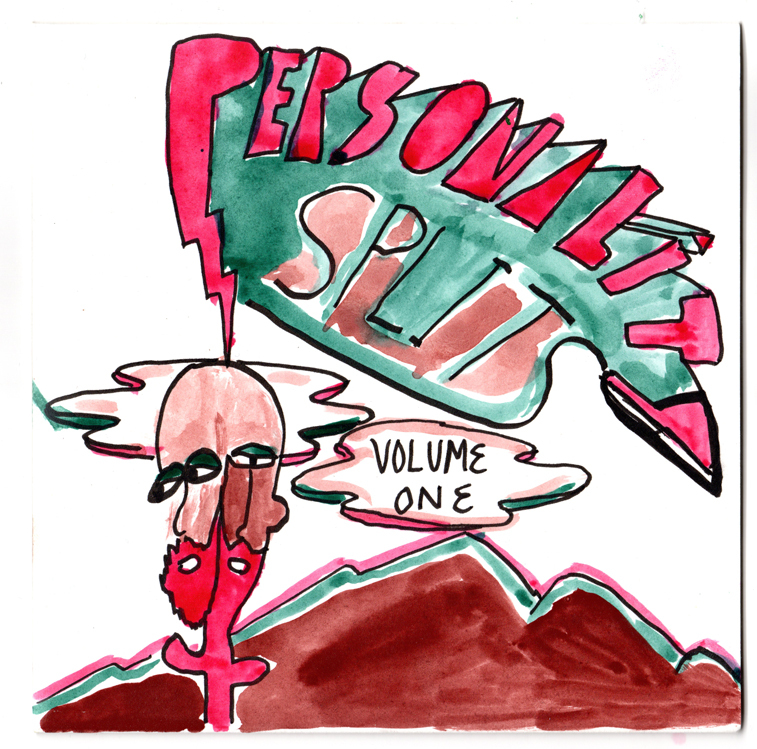 The first one features Sonny Santos (a "found-tape" performer from 1970's Tucson who you can imagine hanging out and recording with Rodriguez or Lee Hazelwood. The Second is Son Tea. To quote Matos "Son Tea is a western mytholgist and counter-cultural anthropologist who dabbles in Lo-Fi Hip Hop, Freek Jazz and soft drugs. Son Tea replaced the increasingly erratic Trans Van Santos as Chief Archivist at www.newweirdwest.com in the summer of 2017." Vol. 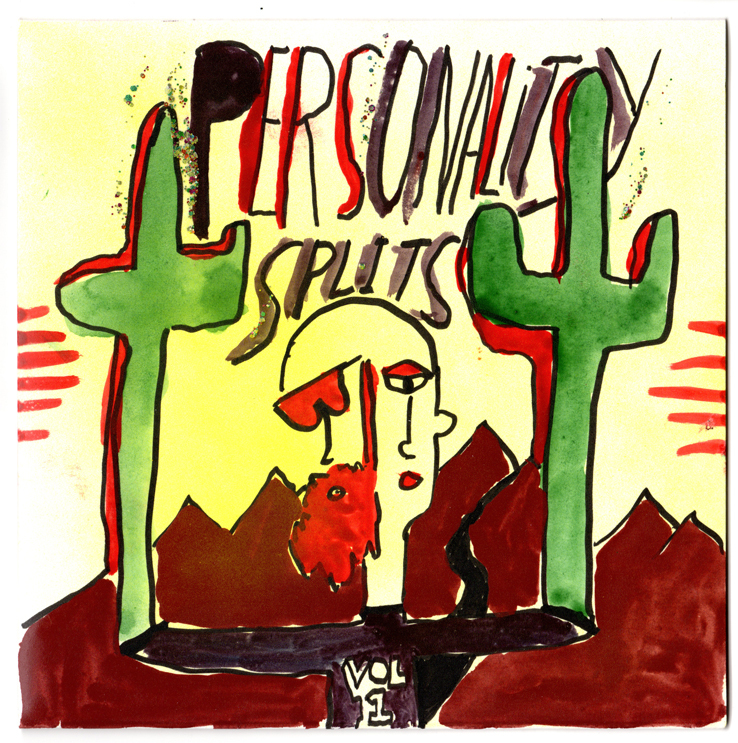 1 is limited to 42 copies on square lathe cuts, with covers hand-painted by Matos himself. Ltd Ed of 42 handpainted copies.